Charming ranch like new. Kitchen , laundry, entryway and all 3 bedrooms have new flooring in July 2018. This home has been completely painted inside with walls, trim and doors all receiving fresh paint, ducts cleaned as well. In addition this fabulous home received a complete update in the last few years with maple flooring in living and dining areas, new baths and kitchen and windows. 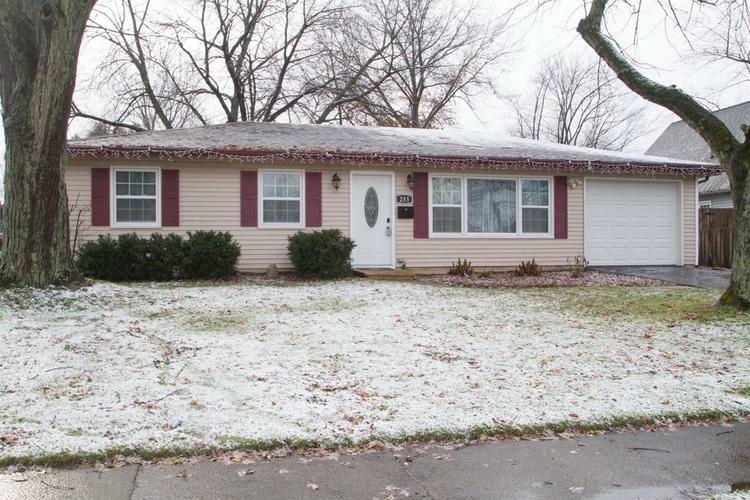 You need do nothing but move in and enjoy this home with large fenced yard. All appliances are new in July and come with a 5 year warranty. The home comes with a transferrable warranty through June, 2019. Directions:Sears or Valparaiso St. to Appletree to home.